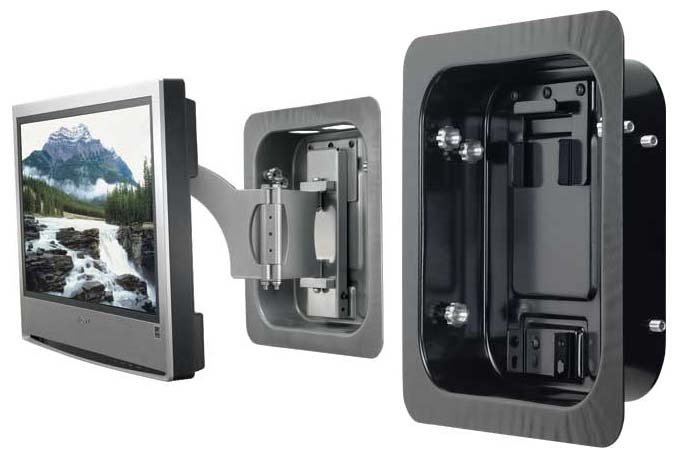 More on the Sanus In-Wall Box for Mounting up to 50 Flat Panel Displays (Black) LR1A-B1 below. Easy support for the VisionMount VM400 and LRF118 wall mounts, holding virtually any flat-panel TV from 15" to 50". 4.6" offset (to left of center), when used with the LR1A, VisionMount LRF118 or VM400 mounts. Flush mounting for a low-profile installation, completely hidden behind the screen. Integrated wire management with back panel cutouts, allowing cables to be routed through an opening and directly in to the wall or J-box. Finger-adjustable Quick Shims, which allow the box to be leveled and secured tightly into place. A paintable black finish, designed to match nearly any home decor. *This order does NOT include a mount. 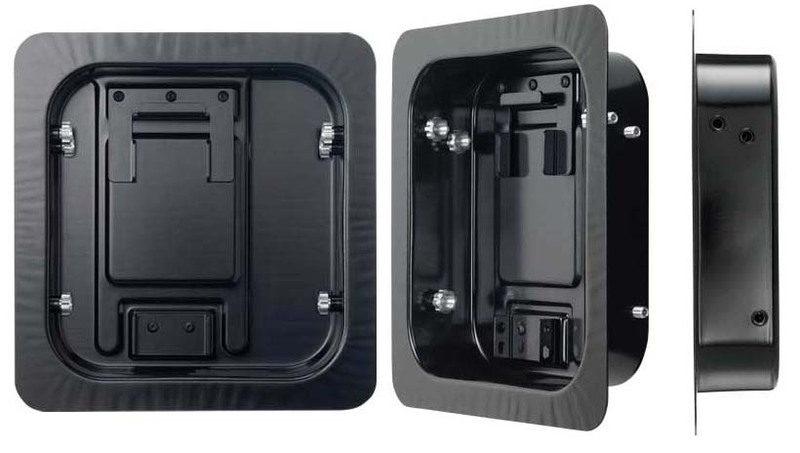 You must purchase the VM400 or LRF118 separately to mount your flat panel display. For more information about these items, see "Related Products" below.